I stumbled across this fantastic boat lady a few months ago in my bayou travels, and I haven’t been able to get her out of my mind! She lives in Wikimedia Commons, and there is absolutely nothing known about her other than this photo, which was probably taken sometime in the 1910s. 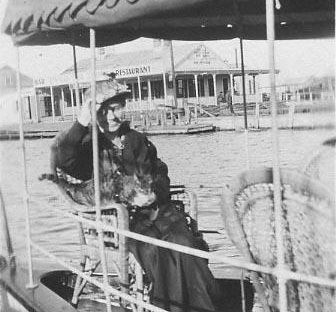 “Woman on boat, Bayou St. John, New Orleans, LA, circa 1910’s”; Source Flickr: bayou st.john 1910s 01; Author Greg Livaudais. This would make sense, given the bayou’s nearly two-decades-long litigation limbo beginning in 1908. 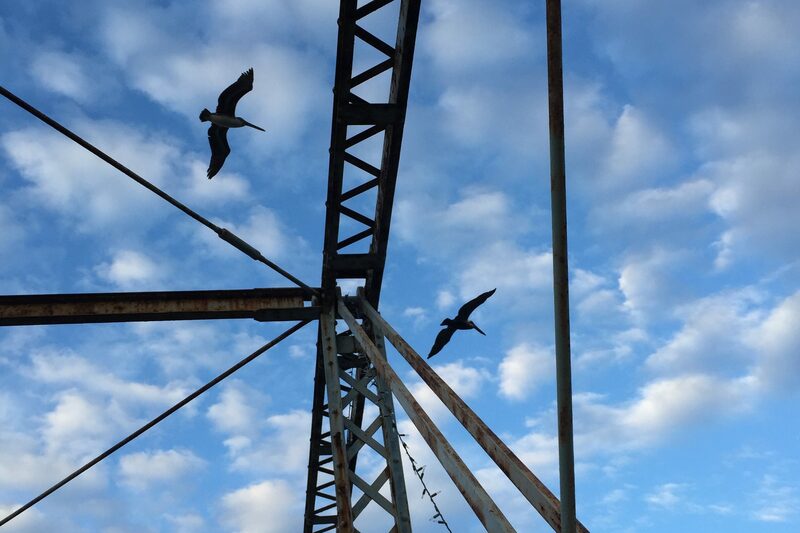 While the powers-that-be were trying to figure out who had control over the waterway—the Carondelet Canal & Navigation Company, the State, or the federal government—the bayou was basically partying non-stop. 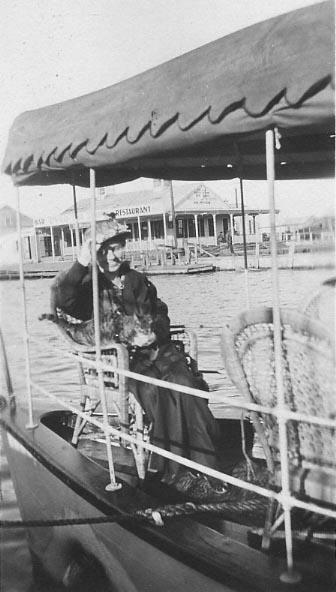 Boathouses and houseboats and pleasure craft of all shapes and sizes plied its waters, including, apparently, our feline-loving mystery lady’s boat! I wish I knew her story. I wish I knew her cat’s story. Recently, in my travels as an educator, I was introduced to an exercise that I absolutely love. 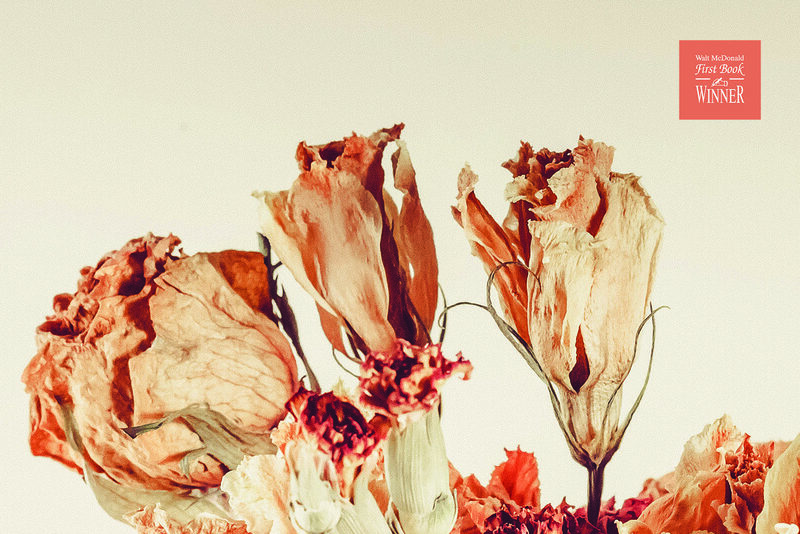 It’s a way of looking, really looking, at an image, and perhaps noticing details about it you otherwise might not have. —Look at the scalloped ruffle on the boat’s awning…. —Look at the shadow of her hand across her face…. —Look at her cat’s tail draped over the arm of the chair…. —Look at the wicker furniture…. —Look at the word “restaurant” behind her…. —Look at the rope attached to the boat…. —Look at her long coat…. —Look at the wharves on the opposite bank…. —Look at the white poles holding up the awning…. —Look at the tiny man sitting on the porch of the restaurant, also wearing a hat…. —Where are the other boats? —Where are the objects the rope is attached to? —Where is the bayou’s other bank? —Where is the name of the boat? —Where is the lady’s husband/daughter/son/mother/father/lover/friend? —Where is the boat’s motor? —Where is the cat food? You get the idea! If you need me, I’ll just be over here staring at this poor-quality photo, trying to guess at this lady’s story, and making whimsical lists. I love her smile, her relaxed manner, and her chubby cat, even if don’t know the first thing about her. Please add to these lists below if you feel so inclined!